Have you been to Manila? Most of us have visited or stayed in the city yet never had the chance to visit various spots which could not only provide us enjoyment but historical facts we as Filipinos should know. 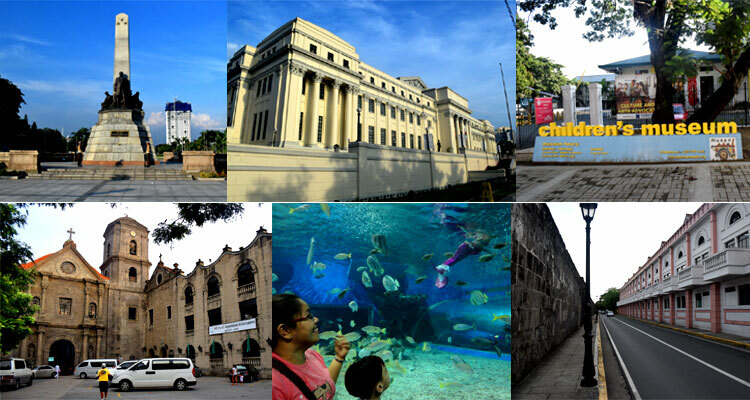 Here are 22 places and things to do when you’re in Manila or the nearby cities. 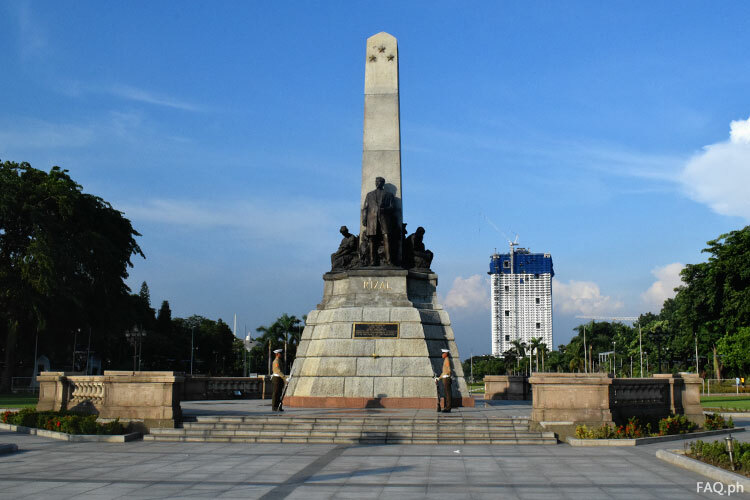 Rizal Park, also called Luneta Park, is a historical urban park located at the center of Manila. Here is where our National Hero, Dr. Jose Rizal was executed and buried. It is one of the largest urban parks in Asia and one of the major tourist attractions in Manila. Aside from the historical events connected to this park, it is also where you will find the marble marker of Kilometre Zero (KM 0). It is the starting point in measuring the distance to all provinces and cities in the country. 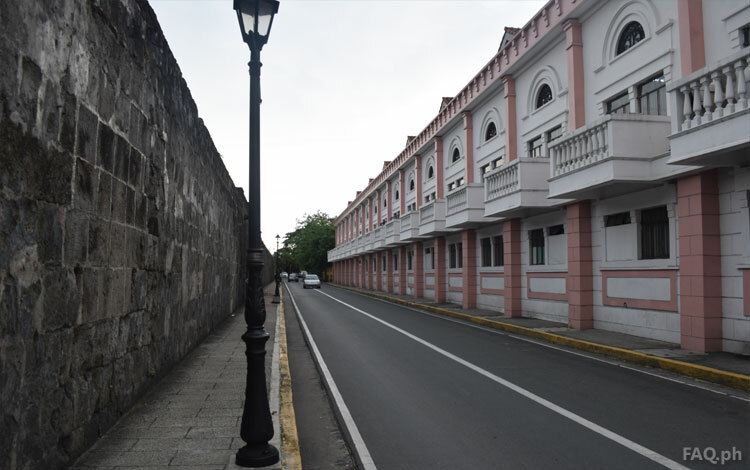 Intramuros is a Latin word which means “within the walls” because of this, Intramuros is called the “Walled City.” Intramuros was built as defensive walls to protect the city from foreign invasions at that time. Visiting this place gives us a glimpse of our forefather’s lives during the Spanish era. The Fort of Santiago is located inside Intramuros. It was built in 1571 on the site of the native settlement of Rajah Sulayman. 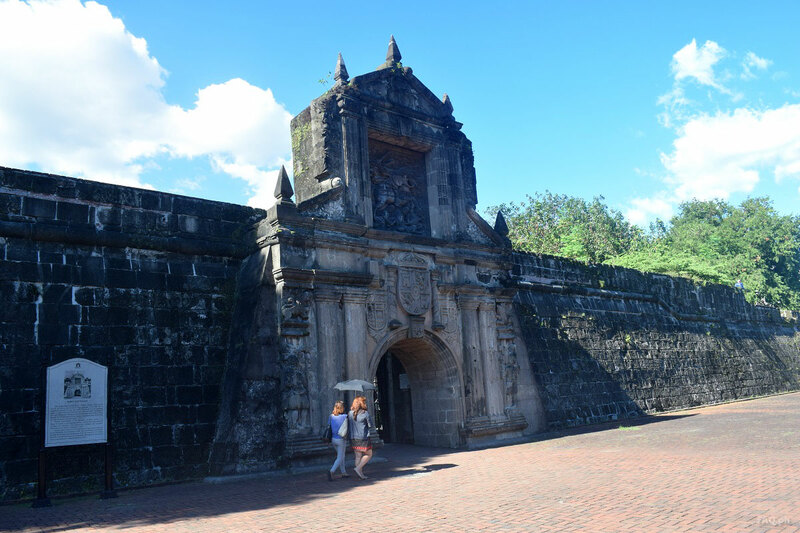 Inside Fort Santiago, we can also find Rizal Shrine or Dambana ni Rizal, where Jose Rizal was detained prisoner from November 3 to December 29, 1896 before his execution at Luneta on December 30 of the same year. The entrance fee at Fort Santiago is only P70. Inside the museum of Rizal, visitors can see rare photos and stuff of Rizal which they might have not seen before. 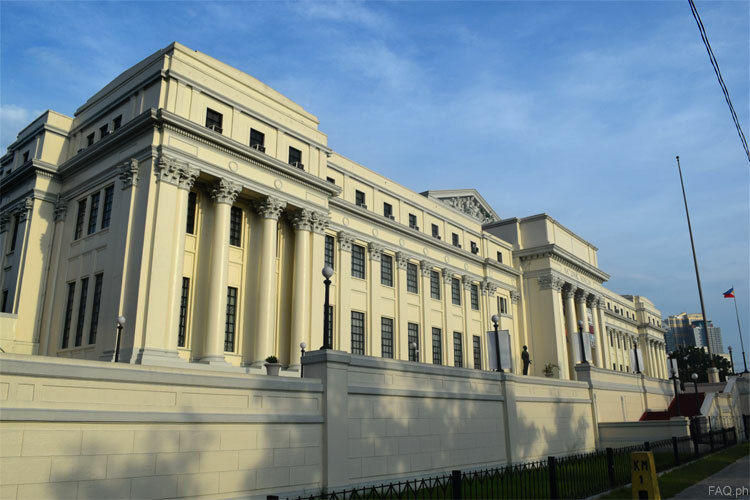 The National Museum of the Philippines or Pambansang Museo ng Pilipinas is a government institution which also serves as an educational, scientific and cultural institution. It runs the National Museum of Fine Arts, National Museum of Anthropology, National Museum of Natural History, and National Planetarium, all situated within the vicinity of Rizal Park. The Museo Pambata is a children’s museum in the Ermita district of Manila. 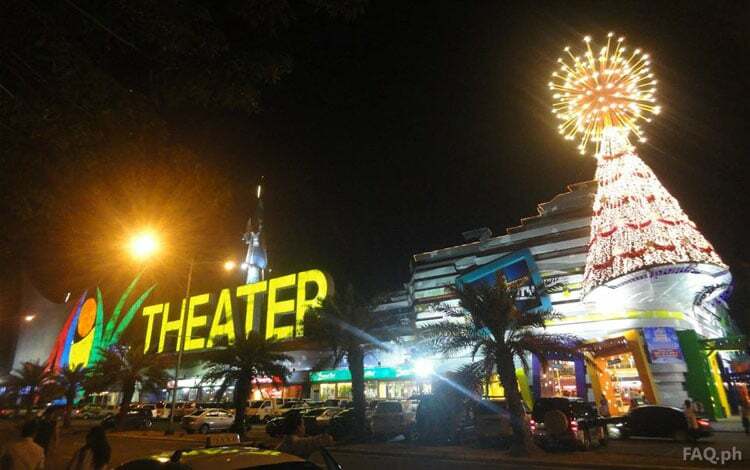 It is located along Roxas Boulevard at the corner of Katigbak Drive. It is an interactive museum where your children could learn from the exhibits using their total senses. The museum also has regular programs and events for various sectors. 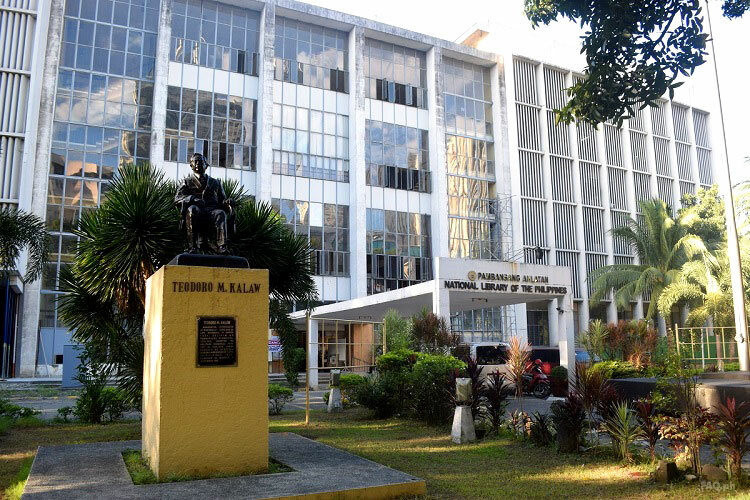 The National Library of the Philippines also called Pambansang Aklatan ng Pilipinas or Aklatang Pambansa ng Pilipinas was formerly known as the National Library of the Philippine Islands (NLP). It is the official national library of the Philippines and is located in Ermita under the jurisdiction of the National Commission for Culture and the Arts (NCCA). The Manila Ocean Park is an oceanarium in Manila, Philippines. It is located behind the Quirino Grandstand at Rizal Park. The 8,000 square metres oceanarium is bigger than the Sentosa Underwater World oceanarium in Singapore in terms of floor space. 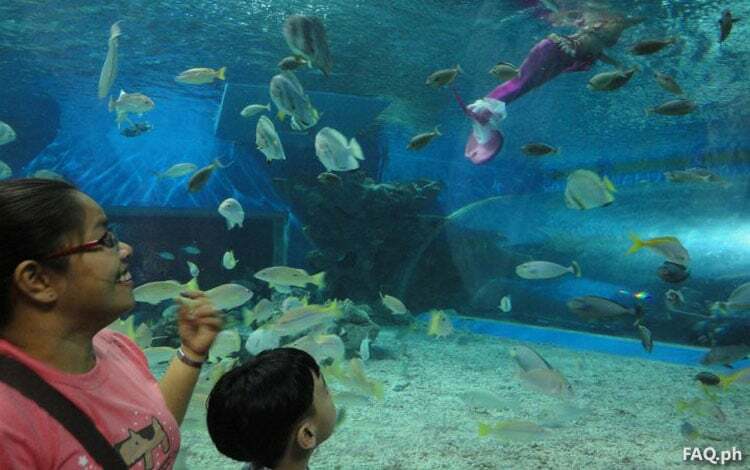 It also features a 25-metre underwater acrylic tunnel where you could watch the sea creatures which made this one of the best tourist destinations in Manila. Manila Bay’s sunset as seen at Roxas Boulevard. Manila Bay is a natural harbour which serves the Port of Manila situated in the western part of Luzon. With an area of 1,994 km2 and a coastline of 190 km, Manila Bay served as Philippine’s gateway for socio-economic development even before the Spanish occupation. 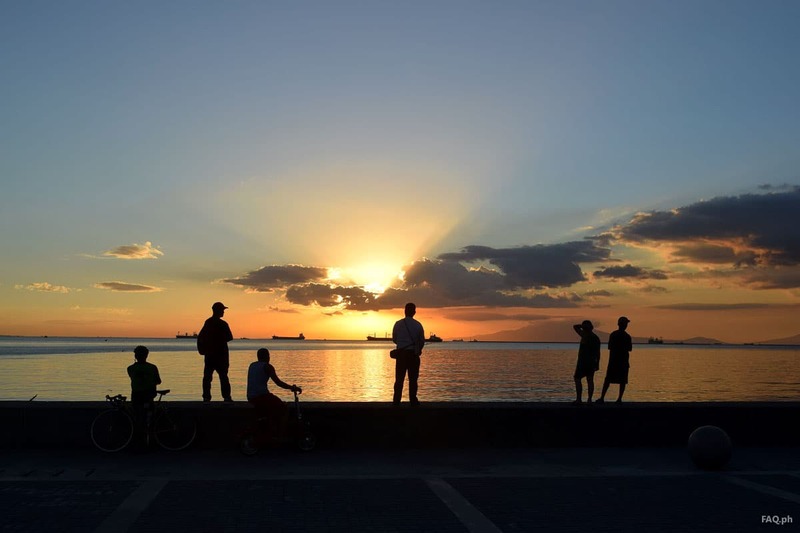 Strolling along Manila Bay in the afternoon should be on your list of things to do in Manila. From here you can enjoy the sunset and watch as the city slowly comes alive. 9. 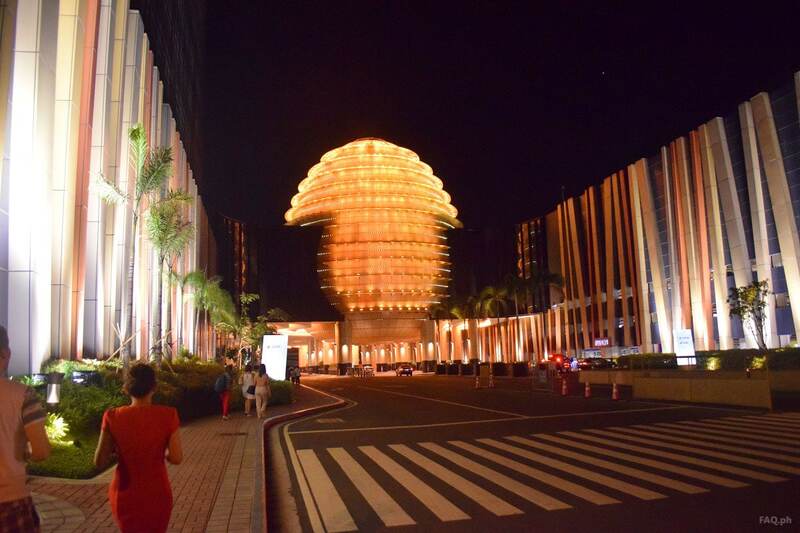 Tour around and watch concerts within the Cultural Center of the Philippines (CCP) Complex. 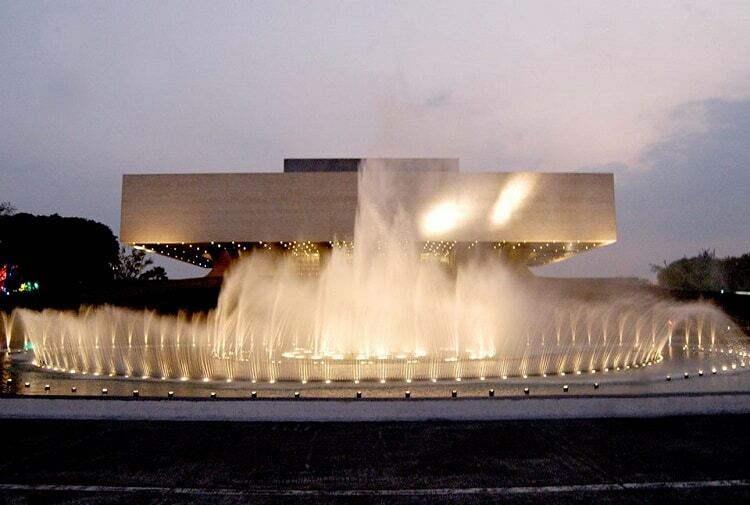 The Cultural Center of the Philippines (CCP) or Sentrong Pangkultura ng Pilipinas, is a government-owned and controlled corporation established by President Ferdinand Marcos through Executive Order No. 30 s. 1966 to preserve, develop and promote arts and culture in the Philippines. The CCP usually serves as a venue for performance and exhibition for various local and international productions with its 62-hectare (150-acre) complex located in the Cities of Pasay and Manila. Star City is a family-oriented amusement park. It has a variety of attractions within its 35,000 square metre complex including kiddie rides, a playground, Winter Fun land, Dino Island, Star Theatre, miniature train rides, a go-kart track, and four roller coasters. The Snow World, with freezing temperatures, has carved ice slides for kids, carved ice statues, ice castles and igloos while the Dino Island contains a small museum with prehistoric artefacts. I’m sure you would have a fun filled day with your family with all those list of activities in Star City. A pathway at Paco Park in Manila. Photo by Angelyn Marquez via Wikimedia Commons. 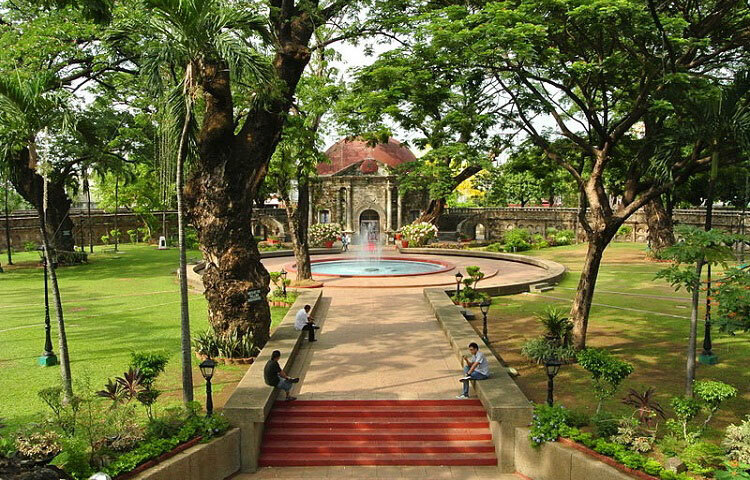 Paco Park is a leisure garden and was once Manila’s municipal cemetery built by the Dominicans during the Spanish colonial period, located on General Luna St. and at the east end of Padre Faura Street in Paco, Manila, Philippines. It is circular in shape, with an inner circular fort that stood as a cemetery. A small, Roman Catholic chapel was also built inside the walls of the park. View of Malacañang Palace from the other side of Pasig River. Image via Wikimedia Commons. The Malacañang Palace is the official residence and main workplace of the country’s President located along the Pasig River. It was originally built as a summer house in 1750 but since 1863, it has been used by 18 Spanish Governors General, 14 American Military and Civil Governors, and then by the Presidents of the Philippines. In the present Fifth Republic, only Gloria Macapagal-Arroyo lived in the main Palace. After many renovations done on the Palace, it has become one of the tourist attractions in Manila. 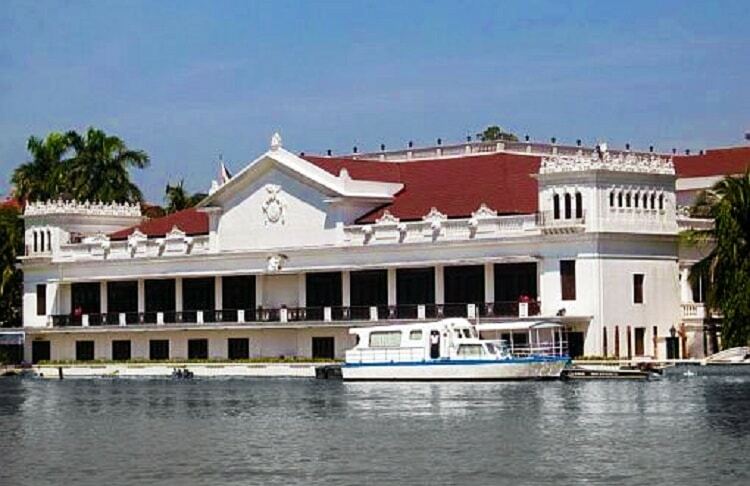 You can have a better look at Malacañan from Pasig River. The Coconut Palace is where the Vice President resides. Image by Paul Shaffner via Wikimedia Commons. The Coconut Palace, also known as Tahanang Pilipino, is a mansion of the Philippine Government on the campus of the Cultural Center of the Philippines, in Manila located on F. Ma. Guerrero Street at the Cultural Center of the Philippines between the Sofitel Philippine Plaza and the Folk Arts Theatre. It is owned by the Government Service Insurance System (GSIS) and became the official residence and main workplace of of the Vice President of the Philippines since 2011. 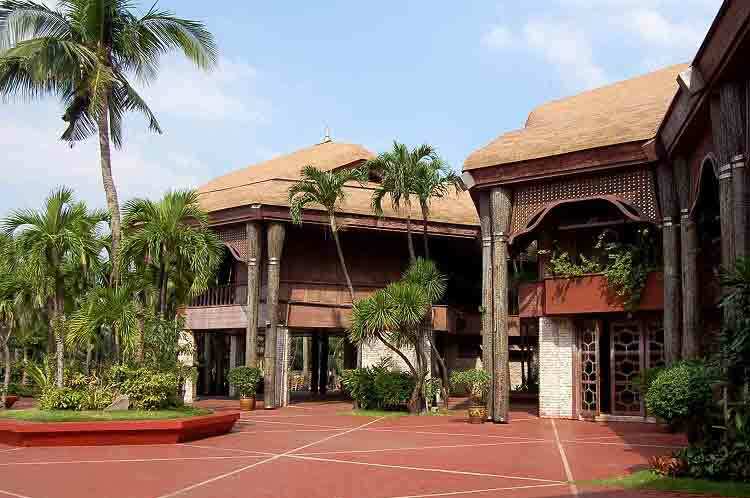 The Coconut Palace is made from various types of Philippine hardwood, coconut shells, and a specially engineered coconut lumber known as Imelda Madera. San Agustin Church or Iglesia de la Inmaculada Concepción de María de San Agustín is a Roman Catholic Church under the sponsorship of The Order of St. Augustine, located inside Intramuros in Manila. 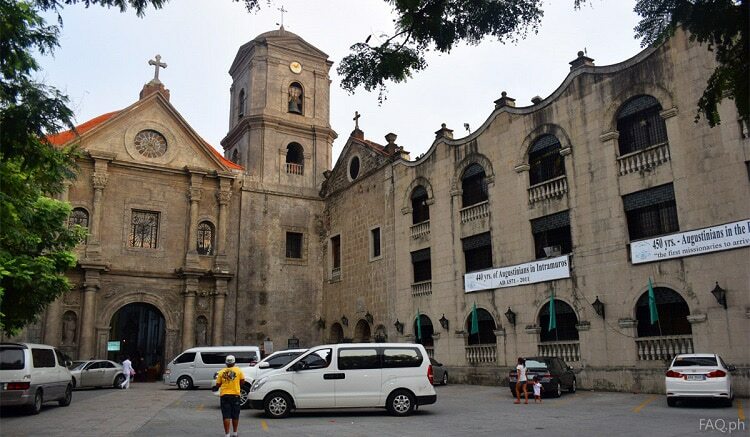 In 1993, San Agustin Church was chosen by UNESCO as a World Heritage. Along with three other Philippine churches constructed during the Spanish era, it received the title Baroque Churches of the Philippines. It was also named as National Historical Landmark in 1976. Manila Cathedral is located inside Intramuros. It is fronting the Plaza Roma and adjacent to Palacio del Gobernador. 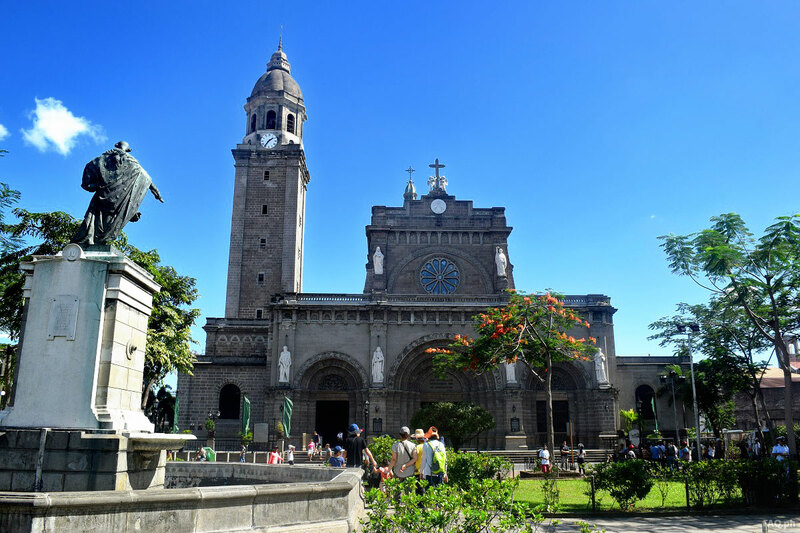 The Manila Metropolitan Cathedral-Basilica, also known as Manila Cathedral, is a Roman Catholic basilica located inside Intramuros in Manila, Philippines. It is dedicated to the Blessed Virgin Mary as Our Lady of the Immaculate Conception, the Principal Patroness of the Philippines. The cathedral was originally a parish church located at Plaza de Roma in the Intramuros district of the City of Manila. 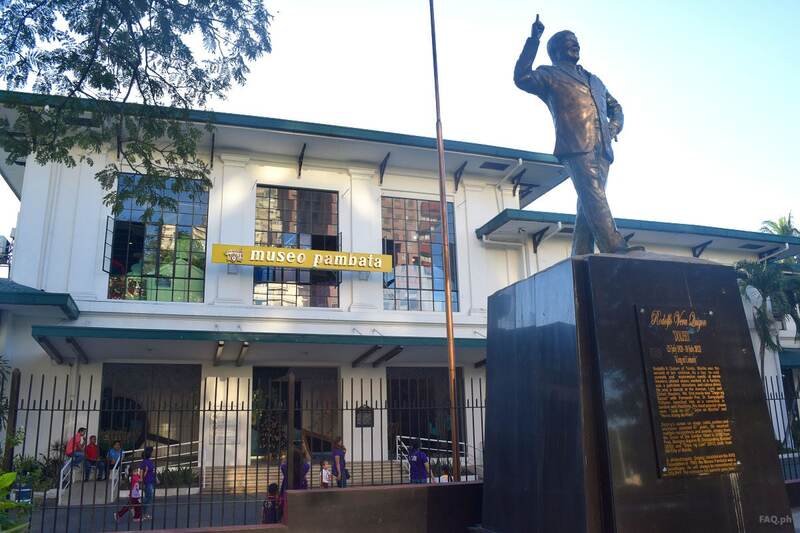 The Church of Malate is fronting Plaza Rajah Sulayman, where a monument of Rajah Sulayman is erected. Malate Church, formally known as Our Lady of Remedies Parish Church is dedicated to Nuestra Señora de los Remedios, the patroness of childbirth. A statue of the Virgin Mary in her role as Our Lady of Remedies that was brought from Spain in 1624 still stands at the altar. 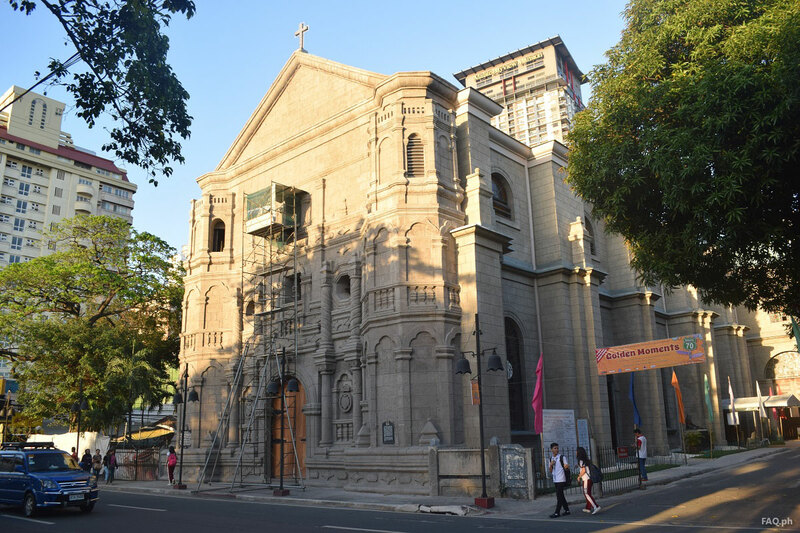 The Malate Church near Roxas Boulevard is only one of the two that has a twisted column and has in effect a retablo type facade, the other being the Franciscan church in Daraga. 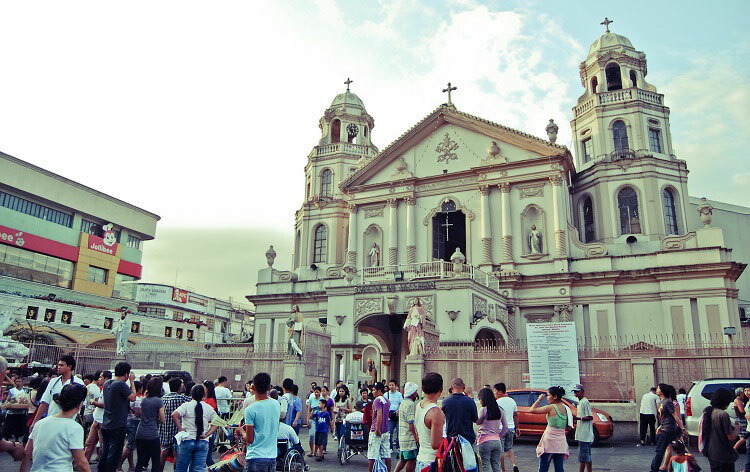 People outside the Quiapo Church. Photo by Devinceoy via Wikimedia Commons. The Minor Basilica of the Black Nazarene more popularly known as Quiapo Church is a prominent Roman Catholic Latin rite basilica in Quiapo. The basilica is famous because it houses the Black Nazarene, a black statue of Jesus Christ believed to be miraculous by many people. After the recent renovation, only the dome and facade retained the classic design. Manila City Hall is located in the historic center of Ermita, Manila. It is where the Mayor of Manila and the chambers of the Manila City Council hold office. 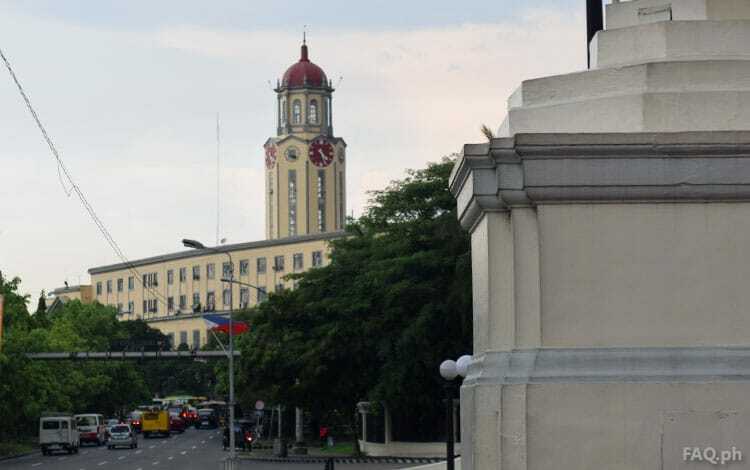 The clock tower, designed by Antonio Toledo completed during the 1930s is the largest clock tower in the Philippines. Ii is the first SM Supermall in the city of Manila. It is located beside the Manila City Hall. 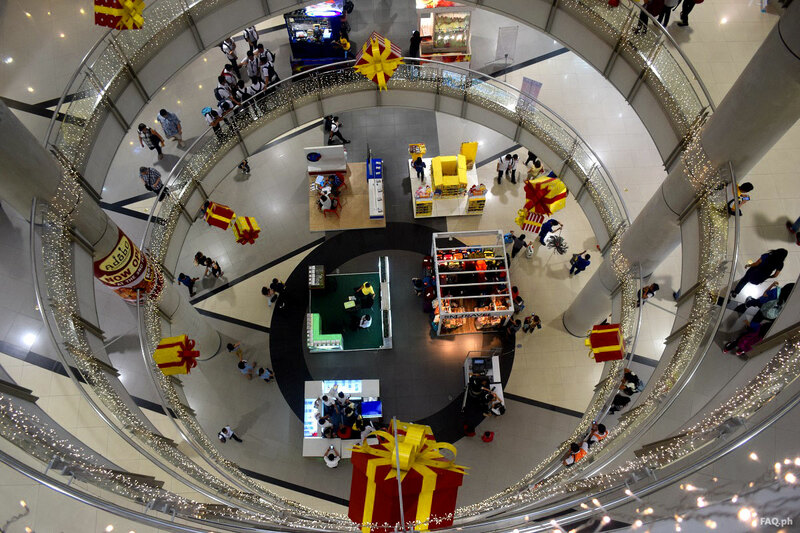 The mall features major SM brands like the SM Cinemas, SM Department Store, SM Foodcourt, & SM Supermarket. Robinsons Place Manila is located at Pedro Gil cor. Adriatico Streets, Ermita, Manila. Shop ’til you drop at Robinsons Place Manila, which is located behind the Philippine General Hospital. It is connected to a twin tower residential condominium namely; Robinsons Place Residences, and Adriatico Place Residences. 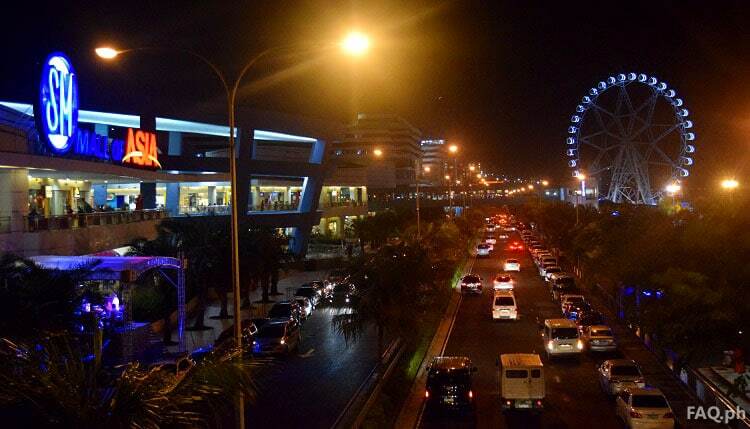 The SM Mall of Asia is located at the Bay City, Pasay City. 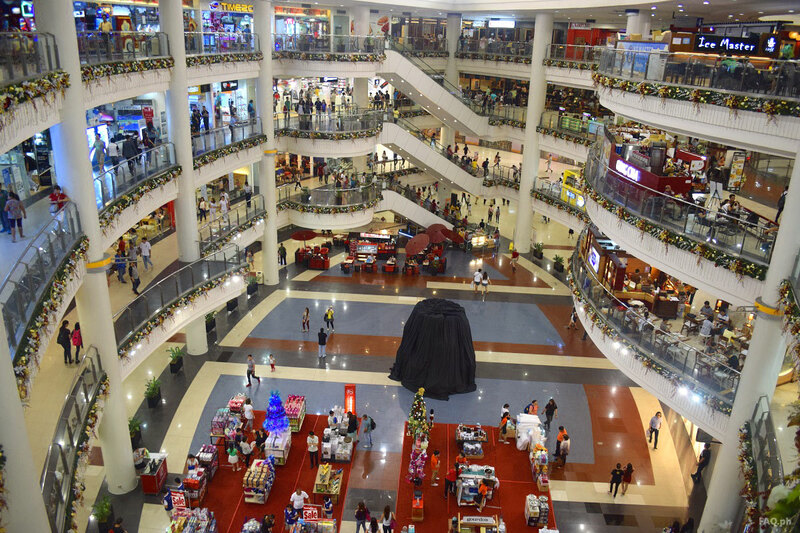 It is the third largest mall in the Philippines and tenth in the world in terms of gross leasable area. Aside from shopping and dining establishments, SM MOA also features an Olympic-sized ice skating rink, an IMAX theater, an indoor Arena (the MOA arena), a convention center (SMX convention center, and a 180 feet tall Ferris wheel (the MOA Eye). The City of Dreams Manila is located at at Aseana Avenue and Roxas Boulevard in Parañaque, Metro Manila. The City of Dreams Manila is a billion dollar entertainment center, which includes hotels, resort, restaurants, shopping boutiques, casino, and DreamWorks’ DreamPlay. At DreamPlay, you can bring your kids and your entire family to create, play and learn with the famous characters from DreamWorks movies, such as Kung Fu Panda, Shrek and How to Train Your Dragons. There you go. What else could you ask for? I hope you’ll be able to visit them all next time you’re in Manila. Don’t forget to bring your friends and loved ones for a more secure and more fun in Manila.